A consumer adequately alleged that five hotel chains controlling a substantial percentage of the U.S. market violated federal antitrust law through bid rigging or group boycott of branded keyword search advertisements. Five major international hotel chains—Wyndham, Marriott, InterContinental, Hilton, and Hyatt—may have violated federal antitrust law by allegedly agreeing to stop using certain forms of branded keyword search advertising on the Internet in order to shift booking traffic away from commission-based online travel agencies (OTA) like Expedia and Priceline and toward the hotels’ own websites, the federal district court in Chicago has ruled. The plaintiff, asserting claims on behalf of a putative class of similarly situated consumers, presented sufficient factual allegations to support a finding that the conspiracy, which she purported increased the costs of searching for and booking hotel rooms online, constituted either a per se violation of Section 1 of the Sherman Act, or, in the alternative, an unreasonable restraint of trade under Sec. 1, the court found. Therefore, the defendants’ motion to dismiss was denied (Tichy v. Hyatt Corp., March 21, 2019, Pallmeyer, R.). The defendants represent five of the world’s fifteen largest hotel chains. With more than 8,300 hotels worldwide, Wyndham is the world’s largest hotel company. Defendant Marriott, which has over 6,000 hotels in 122 countries, is third-largest, while the parent entities of defendants Six Continents (InterContinental Hotels Group PLC) and Hilton Domestic Operating Company Inc. (Hilton) rank fourth and fifth. Even the smallest of the five defendants, Hyatt, holds 739 properties in 57 countries among its thirteen brands. According to the plaintiff, the defendants agreed to prevent branded keyword search advertising following an industry conference in November 2014 at which the topics discussed included the downward pricing pressure posed by online travel agencies and the competition for the purchase of branded keywords from Internet search engines. They allegedly aimed to achieve this by three means and agreements. First, the plaintiff claimed, they "agreed with each other to stop bidding for each other’s branded keywords." Next, they allegedly agreed to incorporate provisions into their OTA lodging agreements that prohibited OTA from bidding on their branded keywords and required OTAs to attempt to prohibit affiliated OTAs from doing the same. Finally, each defendant revised its written lodging agreements with OTAs Expedia and Priceline, who, along with their affiliates, make more than 90 percent of all OTA bookings. The OTAs, the plaintiff notes, "are responsible for as much as 50% of" the defendants’ online bookings. The complaint charges that the defendants did in fact stop bidding on each other’s keywords in 2015 and also began sending cease-and-desist letters to "affiliate OTAs" seeking to prevent them from bidding on them either. While the plaintiff did not allege that the defendants’ conspiracy affected all search results, only that it caused their websites to appear at the top of the search-results page, she averred that this manipulation of content harmed competition. The plaintiff claimed that between 2015 and 2017, when she often used branded keywords to search for hotel rooms on Google.com, as search results yielded fewer competitive options, she increasingly navigated straight to the websites of Marriott and other defendants to search for, reserve, and purchase hotel rooms. She and the putative class paid more for these rooms--in terms of money, time, and effort—than they would have in the absence of the conspiracy, she contends. Circumstantial evidence. Although the plaintiff’s allegations did not comprise direct evidence of a bid rigging or group boycott agreement, in the court’s view, the allegations appeared to make a threshold showing of parallel conduct that could have resulted from a conspiratorial agreement rather than chance. Rejecting the plaintiffs’ contention that a conspiracy among the defendants could be inferred from their "motive and incentive to collude to steer customers away from OTA websites," the court found more persuasive their argument that any defendants’ unilateral choice to stop the practice would be contrary to its economic self-interest. Viewed in the light most favorable to the complaining consumer, the factual allegations reasonably suggested that the practice of bidding on competitors’ keywords benefitted each defendant, the court said. Similar inferences could reasonably be drawn regarding the defendant-OTA bidding practices. The court was unpersuaded by the defendants’ alternative explanations for their alleged bidding conduct. The defendants’ examination of each form of keyword advertising in isolation ignored how any defendant’s unilateral choice to restrict only one form would leave it more vulnerable to competition from the other defendants. In addition, the defendants "overemphasize consumers’ brand loyalty," the court remarked. Even if the defendants’ explanations were plausible, though, they "[did] not negate the plausibility of the plaintiffs’ competing explanation," the court concluded. The plaintiff’s averment of an abrupt shift in Internet search results was an additional factual circumstance plausibly suggesting an illegal agreement, the court added, satisfied that the alleged "visible change" supported an inference that the defendants agreed to adopt the restrictions. Moreover, the court observed, the plaintiff identified other circumstances indicative of an opportunity to conspire, including the presentations at the 2014 industry conference and the defendants’ membership on and involvement with the board of the American Hotel Lodging Association. Standing/injury. The court rejected a contention by the defendants that the complaint failed for lack of antitrust standing. 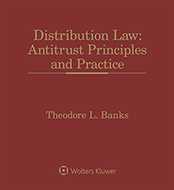 The plaintiff sufficiently pleaded both requisite elements: antitrust injury and proximate causation. 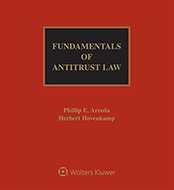 The plaintiff plausibly alleged that she and the putative class members suffered losses stemming from anticompetitive acts that raised prices to consumers, the court decided, noting that the defendants evidently conceded that the alleged injuries were of the kind that the antitrust laws aim to prevent. Similar allegations presented in a case in a different district had been found sufficient to establish but-for causation, the court observed. After an evaluation of the factors enumerated by the U.S. Supreme Court in Associated General Contractors, the court determined that the plaintiff adequately alleged proximate causation for antitrust standing. Rejected was a contention by the defendants that the plaintiff lacked sufficient connection to the harm because it was not a participant in the market where the harm occurred. However, consumers like the plaintiff who searched for and purchased hotel rooms online are undoubtedly participants in that market. Their alleged injuries were "distinct from, not derivative from, harm that online search engines may have suffered," the court explained. 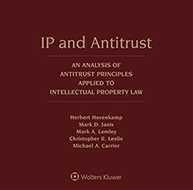 Further, the plaintiff and the putative class members, who directly participated in the allegedly restrained market by searching for and purchasing hotel rooms online, were in the best position to vindicate the antitrust infraction. Also rejected was the defendants’ assertion that the claims must fail because, contrary to the plaintiff’s allegations, searches for a defendant’s branded keywords do still return advertisements for competing defendants’ hotels and OTAs. Accepting as true the plaintiff’s allegations that pre-2015 searches would likely generate a much wider variety of competitive advertisements, including at the top of the page, newly submitted search results, along with those cited in the complaint, supported her theory that the defendants manipulated the results of searches for their branded keywords. To plead proximate causation, the plaintiff did not need to allege that the defendants’ conspiracy eliminated all comparative information from the marketplace, the court added. The case is No. 18 C 1959. Attorneys: Elizabeth A. Fegan (Hagens Berman Sobol Shapiro LLP) for Karen Tichy. Sean M. Berkowitz (Latham & Watkins LLP) for Hyatt Corp. Zachary Thomas Fardon (King & Spalding) for Six Continents Hotels, Inc. Adam Glenn Kelly (Loeb & Loeb LLP ) and Jeffrey L. Poston (Crowell & Moring LLP) for Marriott International Inc.
Companies: Hyatt Corp.; Six Continents Hotels, Inc.; Marriott International Inc.